Simple, clean and economical. That’s the way water was meant to be, so that’s the way we make our water treatment systems. Every food and beverage plant has its own needs, and, more importantly, its own source of water. A water treatment system that works in one plant may be sub-standard in another. That’s why at EQUIPMENT ENTERPRISES, we start from scratch in designing every system we sell. To make sure you’re getting the system that’s right for your operation, EQUIPMENT ENTERPRISES’ specialists conduct a thorough examination of your local water supply as well as your current water treatment procedures. 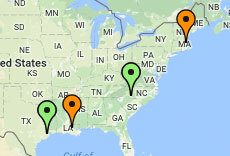 Using that data, we then custom design an efficient, cost-effective system to meet your specific needs. We not only help you get your water right, we make sure it stays that way so that your plant personnel can spend their time in more productive areas—like getting high quality product onto your delivery trucks. Every system we build comes with its own easy-to-read, illustrated manual to help you keep things running smoothly. The way we see it, all water treatment systems are not created equal. At least not in our plant. What good is state-of-the-art if it puts you in a state of chaos? On paper, any new water treatment system can look like the latest and the greatest. The problem is: you can’t produce quality food and beverage products on a drafting table. The hallmark of EQUIPMENT ENTERPRISES’ fabrication process is careful attention to detail in every water treatment system we sell. From precise, neat and clean welds to stainless steel internals and maintenance free stainless steel external surfaces, our systems are built for a long life with minimum maintenance requirements. We use only the highest quality materials, including stainless steel piping and purifiers. 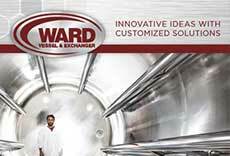 Please visit our parent company www.wardve.com to view our fabrication facility.